So many mergers between companies of diverse cultures are not particularly successful. Too often the culture differences are underestimated. 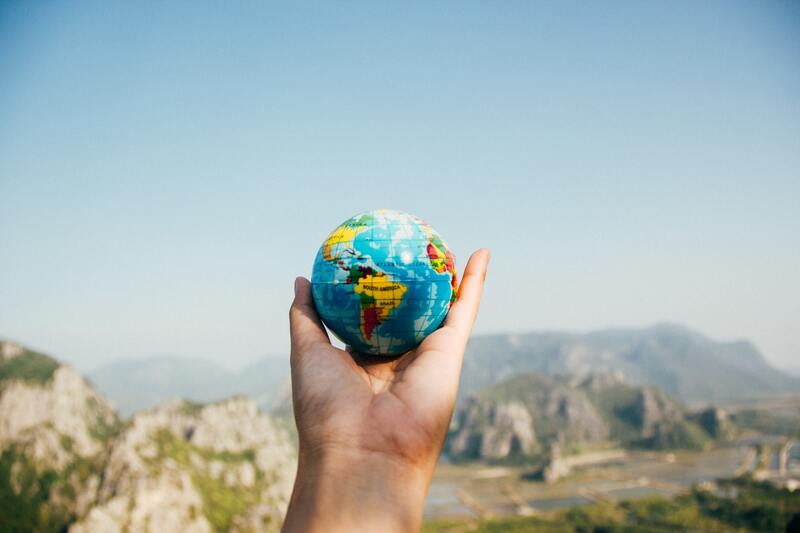 In her recently published book, Erin Meyer – a professor at INSEAD – describes the issues around cultural differences and how to navigate through a multicultural world. I would like to focus on the topic “Communicating”. 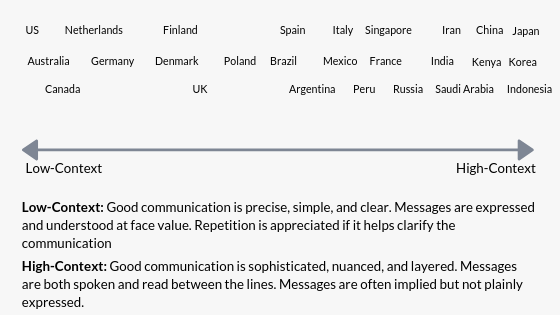 An important step to communicate better across varying cultures is to realize that there are not only language barriers but also communication and interpretation differences, even if you agree to speak one language (i.e. English) in a meeting. People express themselves differently, the extreme can be seen between the Far East and the Western World. Noticeably, in high-context countries you will see a long-standing shared history, passed on from generation to generation. By contrast, the people in the US, a nation only officially organized as a unified country for a few hundred years, with an enormous inflow of immigrants from various countries around the world, all with different histories, languages and backgrounds, quickly learned how to pass messages. They had to make it as explicit and clear as possible, with little room for ambiguity and misunderstanding. Please keep in mind, if you are from a low-context culture, you may perceive a high-context communicator as secretive, lacking transparency, or unable to communicate effectively. On the other hand, if you are from a high-context culture, you might perceive a low-context communicator as inappropriately stating the obvious (he thinks: “you did not have to say it, we all understood!”), or even as condescending and patronizing (“you talk to us like we are children!”). It is important to note when considering the impact of cultural differences when dealing with other people, what matters is not so much the absolute positioning of a person’s culture on the above scale, but rather judge their relative positioning in comparison to you. 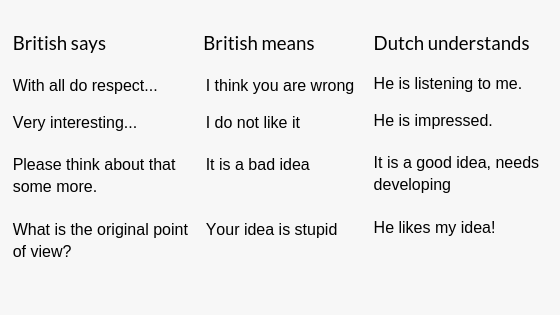 As an example, both Americans and British fall toward the low-context end of the communication scale. But the British speak more between the lines than the Americans do. In summary, yes there are challenges in dealing with people from different cultures and backgrounds. It can be fascinating and very rewarding if you familiarize yourself with the cultural background of the individual(s) with whom you will interact. Importantly, when beginning any communication and relationship it is essential to do so from a desire to understand what is specific and unique to that individual. For C.O.I. and our recruitment process, the culture fit and the communication ‘chemistry’ of the individuals are key.